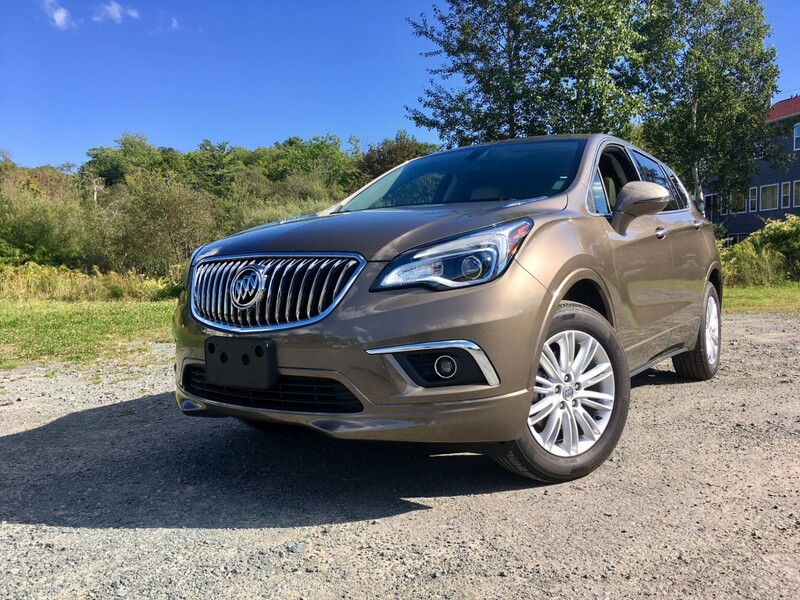 A lot of hoopla is being made from the fact that Buick’s new crossover, the Envision, is made in China. I don’t quite understand why. Your television likely is Chinese made too. So is your cell phone. So is the majority of your clothing and probably a lot of your appliances and furniture. Unless you hold some sort of intense protectionist viewpoint, the Envision should be evaluated based on if it is actually worth it or not. Besides, for the past little while, the Chinese definitely have had love for their Buicks – more than anywhere else in the world, in fact. Sales are through the roof. Maybe they’re onto something. 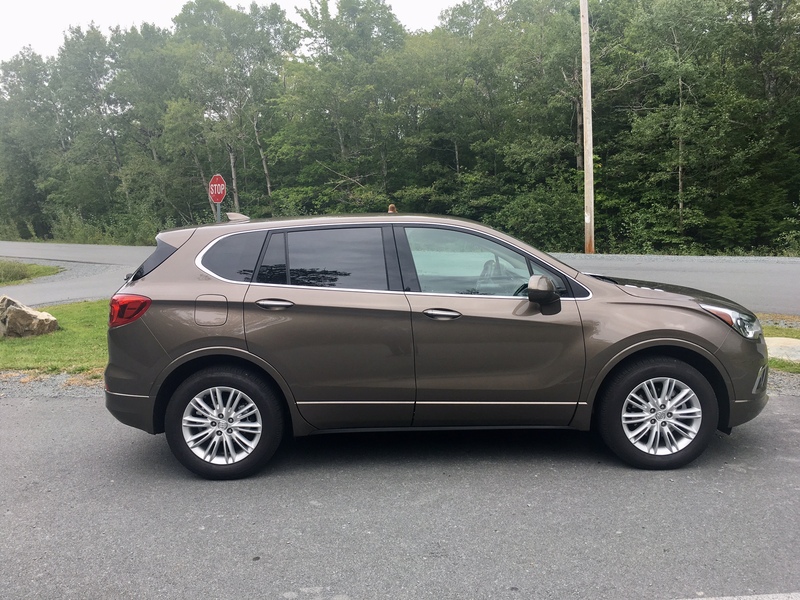 I drove a new Envision for a couple of weeks to find out. Style-wise, no one should be offended. 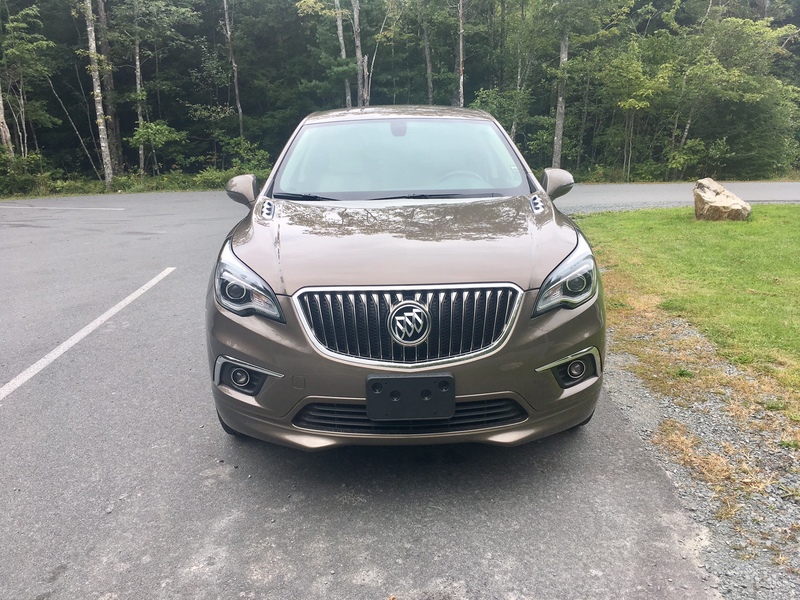 There’s a lot of “Buick” styling going on including the corporate waterfall-style grille, signature LED running lights along with splashes of chrome here and there. 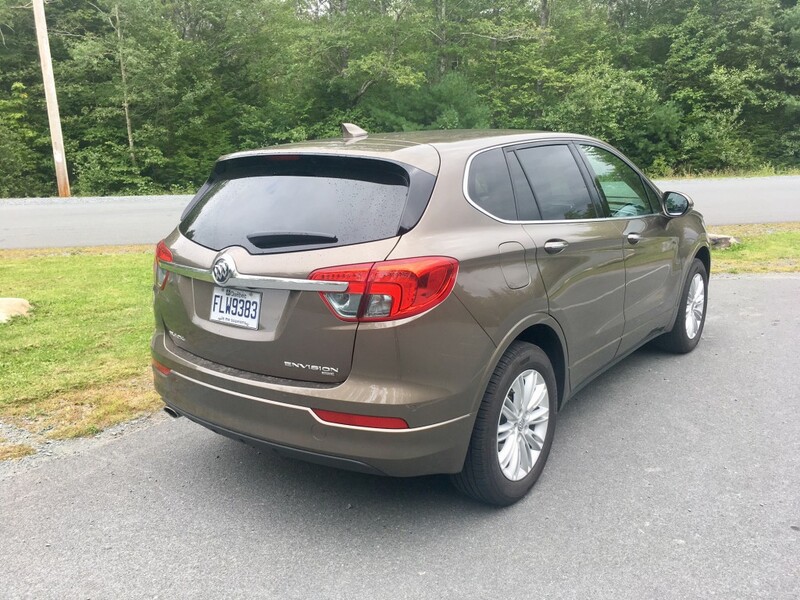 Of course, it wouldn’t be a proper Buick without fake portholes in the hood, and the Envision is no exception. LED tail lights (thankfully matched with proper amber turn signals) and rather decent looking 18-inch alloy wheels help to complete the look. I would say, though, that any nameplate that wishes ti call itself ‘premium’ should offer upgraded head lighting as standard, whether it be HID’s or LED’s. 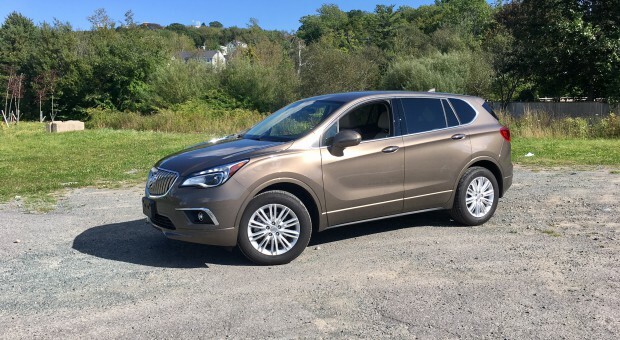 Even though the Envision slots in nicely between the tiny Encore and bulbous Enclave, its size isn’t necessarily vast. In fact, it has a narrow look from the outside. That doesn’t translate into the inside, where it feels airy and open, despite the fact that my particular test vehicle wasn’t fitted with an optional sunroof. The ‘Preferred’ trim is actually the base trim, and I must say, it doesn’t look it. A nicely redesigned touch screen is standard (though mounted at an awkward angle), there’s push button start along with keyless entry too. There’s leatherette, satellite radio and dual zone climate control with heated seats. Everyone who spent some time inside the Envision agreed that it was one of the nicer looking interior designs they’ve seen in a long time. 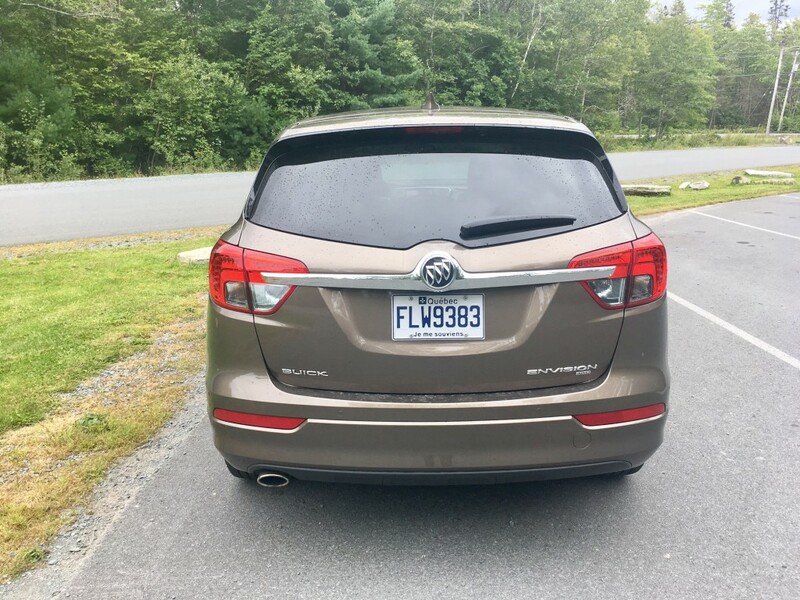 Not to bring up the Chinese component again, but since people seem to sometimes equate poor quality with Chinese-made products, I asked everyone what they thought of the fit and finish while not letting them know that the Envision is Chinese made. A resounding thumbs up was the response. Aside from some hard plastics here and there that I could spot, I’d tend to agree. There’s a good amount of room in the second row in terms of both head and knee room and the cargo area should be adequate for most. Though it wouldn’t fit a recently purchased BBQ without folding the seats down, just to give you an idea of the size of the cargo area. There are two engine options available in the Envision; both are 4-cylinders. The 2.0 turbocharged option is peppy enough to produce 252 horses and 260 pound feet of torque mated to a six-speed automatic. Strangely, GM Canada decided to spec out my tester with the 2.5 which generates 197 horsepower and 192 pound feet of torque. I’m not sure what they were thinking because even though this is likely going to be the engine of choice for most, this engine is tasked with trying to motivate over 4,000 pounds worth of crossover. 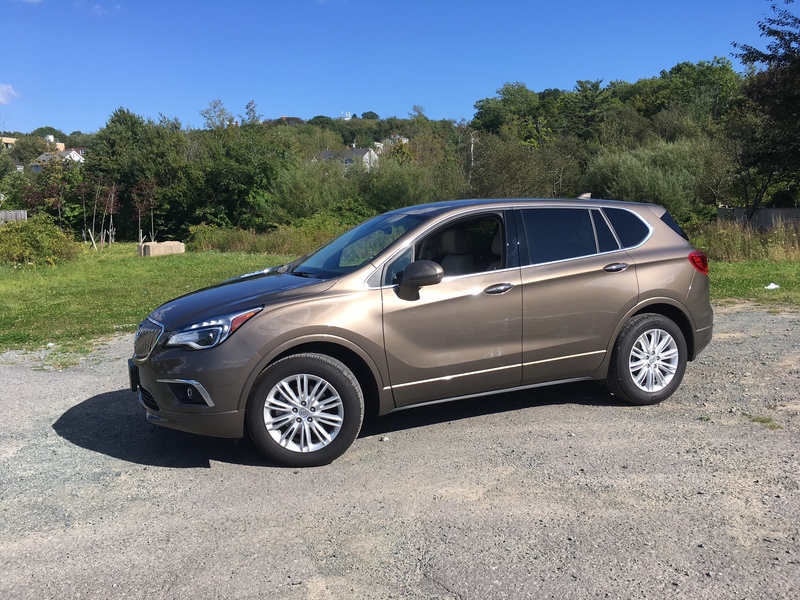 There just isn’t enough power and the Envision feels slow as a result. While I have yet to try the 2.0T, I can say with a fair measure of certainty that it is the engine you’ll want. Thankfully the base engine comes with the same smooth and unobtrusive automatic transmission, though it would be nice if it made more of an effort to upshift in daily driving. As you can imagine, passing slower traffic on the highway takes some effort, but you may not be in the mood for such spirited driving anyway as the Envision offers a comfortable and quiet ride. And I must put emphasis on that last point. It is quiet. Like, to the point of being awkwardly quiet if you’re riding with a passenger and neither one of you has said anything in a while. The Envision definitely encourages small talk. The hushed cabin matched with a floaty ride means the Envision is great for long distance traveling. 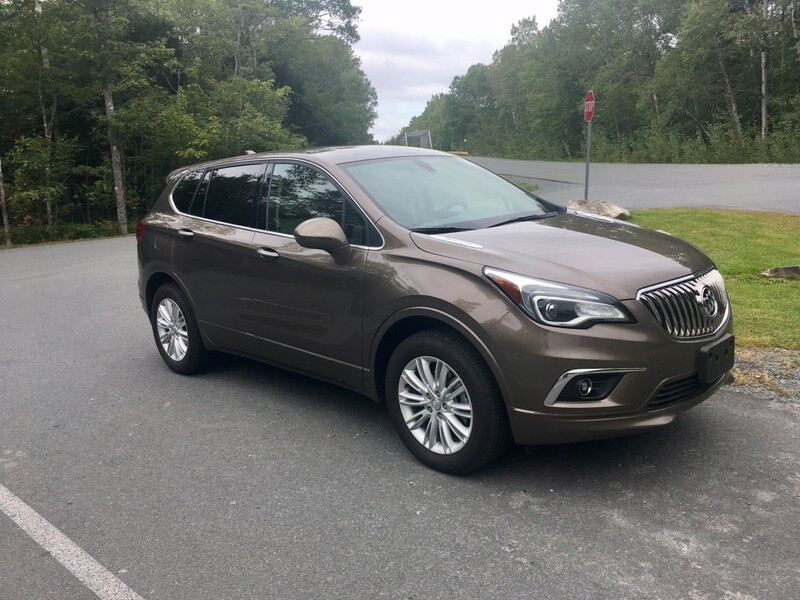 Once you get to the offramp to your destination however, you’ll want to be sure to slow down to the ramp speed because corner carving is not the Envision’s specialty. There’s a fair amount of body lean and literally no feedback to the steering wheel. That’s okay though, if you want a sporty Buick, they’d be happy to point you to the Regal GS. On top of that, despite what the Germans think, most crossovers aren’t meant to take corners like a Nissan GT-R. That said, if you are looking for more of a sporting nature to go with your crossover, the Audi Q5 or similar is where you should be looking, not the Envision. If you’re looking for decent fuel consumption figures, then the Envision is where you should be looking. It’s officially rated at 11.8 L/100 kms city and 9.1 highway, but it isn’t difficult to handedly beat those numbers. I returned 9.6 in mixed city/highway driving. It is particularly impressive because, as mentioned, the engine is sluggish which causes the driver to compensate by putting his or her right foot down more often. While technically the Audi Q5 and those like it are competition for the Envision, one drive of each will reveal just how different they are from each other. It’s a bit like how technically you can get a glass of wine at the same bar as a shot of tequila. Yes, they are both alcohol, but they are targeted towards very different sorts of people. The tequila is the Germans: fast-paced, lots of excitement and flavour and a “let’s party’ attitude. The Envision on the other hand is the glass of wine – more classy, slow-paced and leisurely. So the choice is yours. If you pick the Buick, enjoy your Shiraz. Personally, my style is more habanero vodka. But to each their own.